On Twitter, del Toro shared a list of screenplays he’s developed, written, or co-written over the years that haven’t been picked up for production. It (mostly) doesn’t include ones that have since gone on without him, like his planned Doctor Strange or Hobbit films. Many of the projects are over a decade old now, though others look to be newer (like The Buried Giant). The list also confirms that del Toro has indeed been planning a remake of The Witches, something that was rumored earlier this year...but has been reportedly in the works since 2008. Back in June, Variety reported that Robert Zemeckis was teaming up with del Toro to produce an adaptation of Roald Dahl’s The Witches. The last we heard, del Toro and Zemeckis were in final negotiations with Warner Bros. Given how the movie is on this list, it’s hard to say where it’s at in development because there’s been no news on this front recently. Del Toro and Alfonso Cuarón have been working on this adaptation since at least 2008, and the plan was to have it be a stop-motion animated film so it wouldn’t compete with the iconic adaptation starring Anjelica Huston directed by Nicolas Roeg (who sadly just passed away at the age of 90). Rumors about del Toro’s involvement in Justice League Dark started back in 2012, when the DC extended universe was just getting started. Del Toro drafted a script for the film, which would’ve starred Swamp Thing, the Demon, Constantine, and other iconic characters in a story exploring the supernatural side of the DC universe. Doug Liman was attached to direct in 2016, but left one year later. There’s no confirmed production schedule for this film, but at 2017's San Diego Comic-Con the title was confirmed as Justice League Dark. Warner Bros. has a lot of potential films in the works, we can only hope it’d be smart enough to go back to del Toro’s version. Add this one to the Cameron/del Toro pile. Back in 2001, Cameron reportedly bought the rights to the comic book miniseries The Coffin, a modern adaptation of the Frankenstein story. 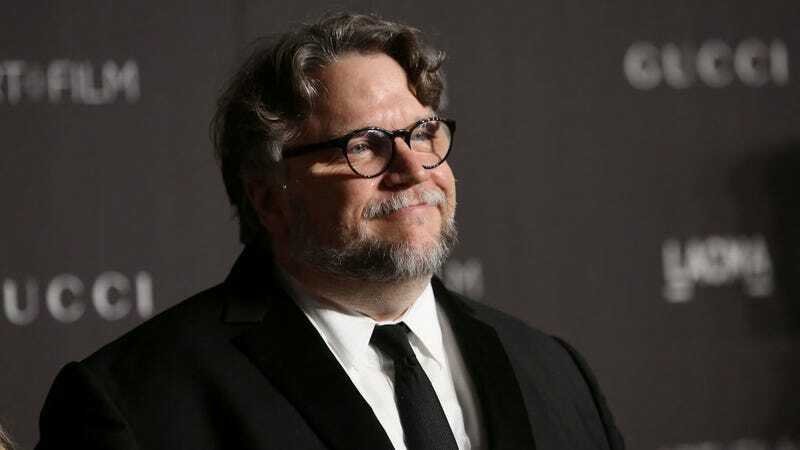 It was rumored in 2004 that del Toro was working on a script treatment of the comic book, and reports of the movie’s development mostly stopped after 2011. Pinocchio might be one of del Toro’s most-famous pet projects, but The Count of Monte Cristo may be the oldest and dearest to his heart. Del Toro has been working on an adaptation of The Count of Monte Cristo for decades. First rumored back in 2002 under the name The Left Hand of Darkness (no relation to Ursula K. Le Guin’s story)—but in the works for at least a decade prior to that—it was set to be a gothic steampunk version of the classic set in the Wild West. Legendary came close to financing it, but later backed out, leaving the project with an uncertain future. But that hasn’t stopped del Toro from dreaming about one day seeing it happen, even suggesting he could pick it up after finishing Crimson Peak, which came out in 2015.